I miss you and I think of you everyday when I am in the garden. 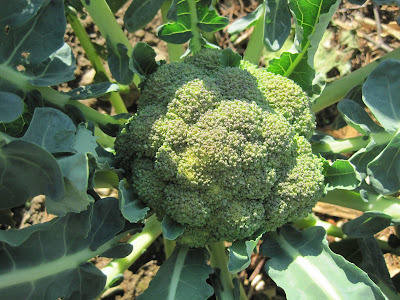 I snap pictures of the broccoli growing or the cauliflower and I think about how you could watch how my garden grows. I think about how I am happy that I get to watch you grow. It's summer; and the gardens here in Upstate New York, where I live, grow and grow. I know, because when I lived with you when I worked in Tampa General Hospital as a chaplain, that it's too hot in Florida in the summer for gardens, even though I and your dad tried to grow tomatoes. Here's some pictures from my garden. My best head of lettuce, ever. 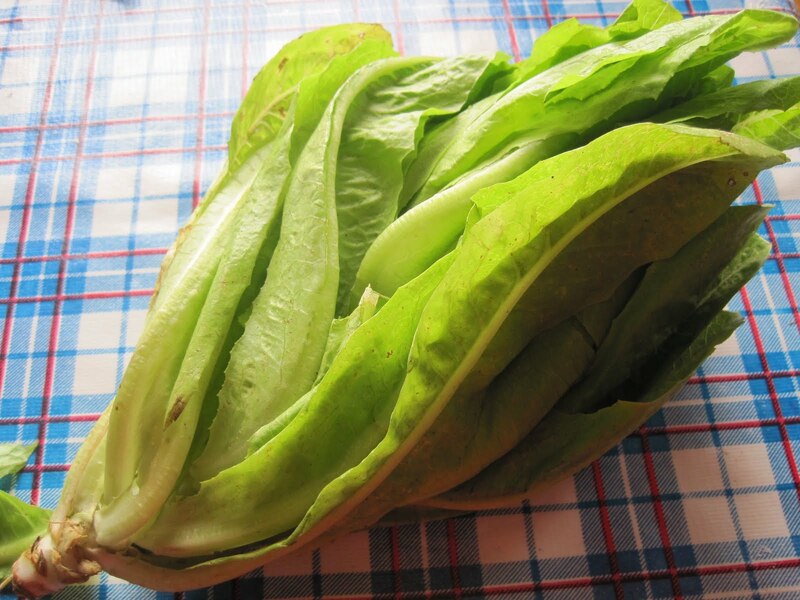 It's hard to tell, but this is a very nice head of Romaine lettuce. I took this picture of a banana pepper because it reminded me of a Pinocchio nose pepper. 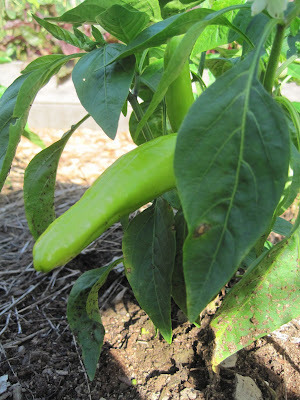 I think the peppers are going to grow really well and I am happy that this one is yellow. It goes well with the green lettuce. 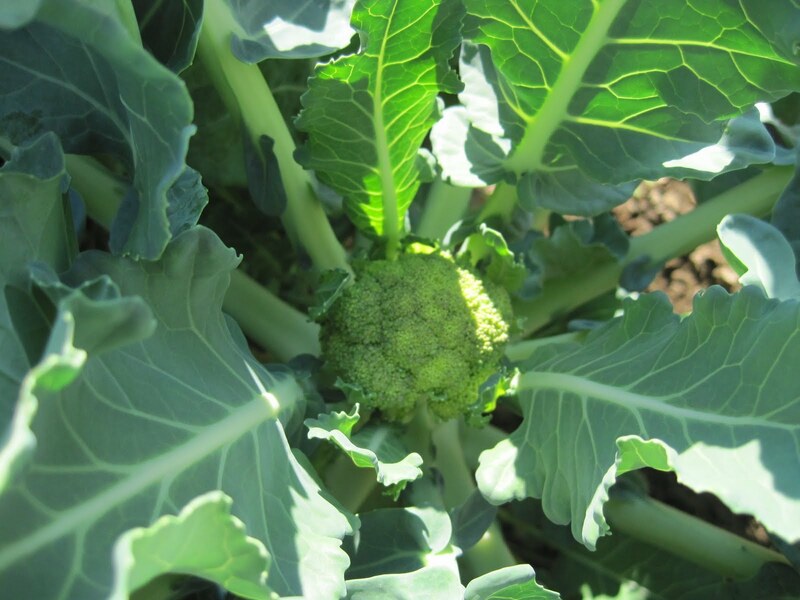 Here is one of the broccoli; its the fastest one and it will be ready to pick before the others. Here's another one that's not quite as far along. 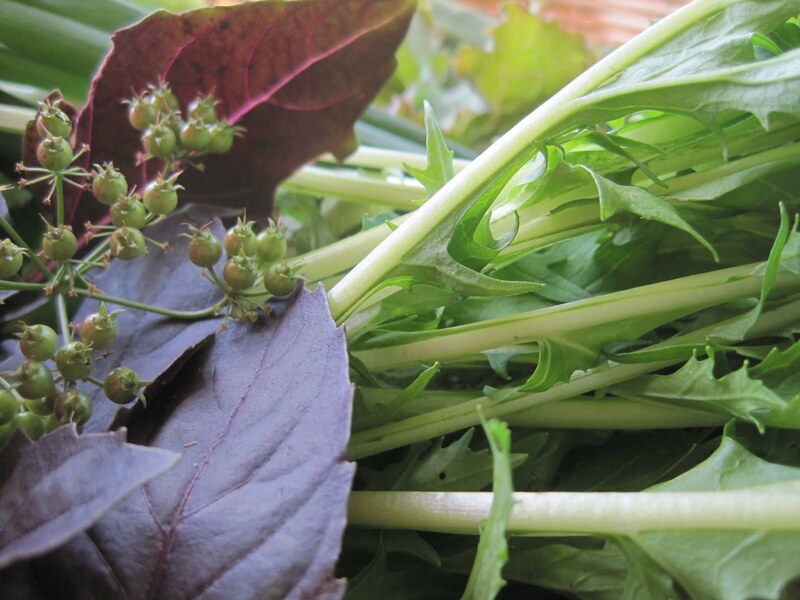 Finally, here is an "art shot" of my herbs that I am going to use in the salad with chili rellanos that I am cooking for a party for a friend of mine who is visiting from Texas. I'm sit here smiling as I picture your faces and hear your voices in my head. Even though I'm far away, it's nice to remember my love for you on this summer evening. And you know what? It's hot here too!